Fortnite Mobile is out right now for iOS systems. In this Fortnite Mobile guide, we'll be walking you through everything you need to know about the game on mobile devices. Fortnite Mobile includes the Battle Royale mode, which means it allows players to take part in the Seasons and weekly challenges. Currently we're between the Week 8 challenges and Fortnite Week 9 challenges. Fortnite Mobile is the full version of Fortnite Battle Royale, offering the same core functionality and features of the PC and console versions. This means that the mobile version lets you take part in the 100-player battles, limited time events, and everything else. If you want to buy the Battle Pass for the current season, you can, and V-Bucks can be bought to spend on skins. Fortnite Mobile on iOS and Android doesn't include the Save the World mode that is available as a premium purchase on Xbox One, PS4, and PC. As with all versions of Fortnite, the Mobile version allows crossplay with players on other devices. If you're playing on mobile you can play against everyone else, but you can't have PS4 players in a game that also includes Switch or Xbox One players. You could, however, have a match that featured Switch and Xbox One players, but not PS4 players. It's slightly confusing, sorry. Fortnite Mobile uses touch controls, and these are split into two modes: combat mode, and build mode. In combat mode, you press down on the screen to move, tap to crouch, drag across the screen to aim, and tap to shoot. In build mode, you’ll be moving in the same way by dragging your finger in a direction, but the build controls use on-screen icons and menus. It's expected that Fortnite Android will easily support game controller, but the iOS version doesn't support this without some extra work. 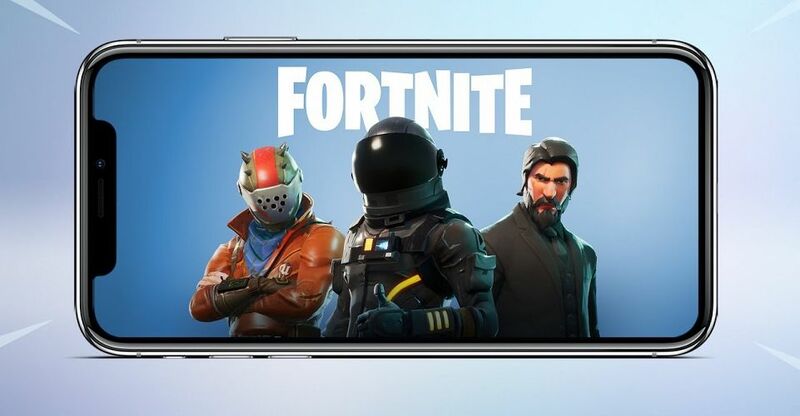 With there currently being no release date for Fortnite Mobile on Android, some players are understandably looking to get hold of the game earlier than the official release. This is a bad move, as Epic hasn't released any version of the Android version. If you come across a site that claiming that a beta is taking place and offering a download of an APK for the game, this is not legitimate. Do not put any personal info in to a site offering such a thing and don't download what it claims to be Fortnite Mobile for Android. That's everything you need to know about Fortnite Mobile. If you're like more info on the game, head over to our Fortnite Tips and Tricks, or take a look at our guide to Fortnite on Switch.